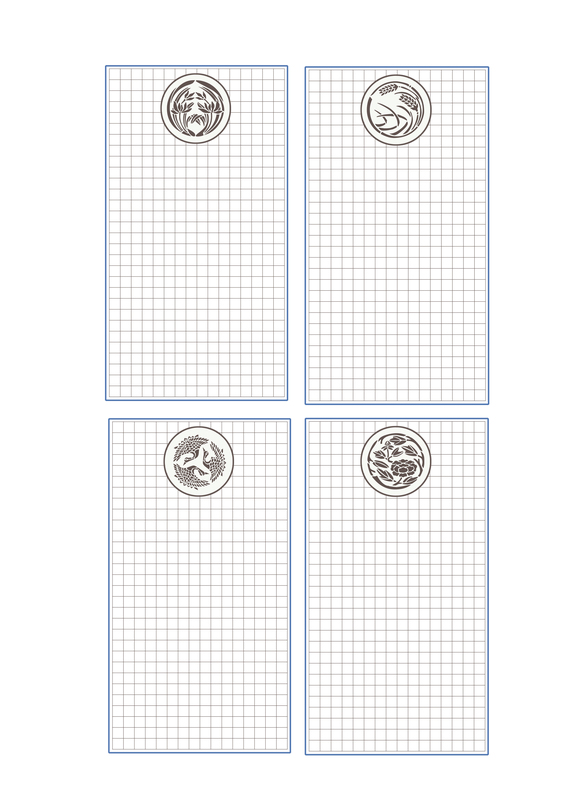 I have been having a play this morning with making some printable grid tags with a small Japanese motif. The motifs are from a dingbat, called Japanese Designs, and are for a little mini-book project of DS and DH on their Tokyo adventure. To be honest, part of the reason I am adding them is to see how WordPress handles a larger linked image – what I *hope* will happen is if you click the image you will get a bigger one that you can download and print then cut out, but I honestly have NO IDEA if it will work as planned. Give it a go and LMK via a comment if you can. I imagine using them as journaling tags although I am not sure of the sizing. This is the first time I have done something like this so very much an experiment. They seem to print out at about 2.5 x 4.5 which is perhaps not the most useful size (although very close to the standard luggage tags I got at Staples) and I think I would aim to make the grid a bit lighter at some point, but frankly my head hurts from doing this much! LOL! Grab them if they are any use to you. If you like the brown and blue colour scheme you could always cover the Japanese motif with a flower or punched circle, or just punch out the motif and put what you like in the space. Don’t be alarmed if when you click the grids look all messed up. When you save it and open it or print it they should be just fine. I think it has something to do with monitor resolution but am not sure. Again LMK what happens for you, please. I would do more of these and would share them if I can make it work! Categories: digital goodies | Tags: tags | Permalink.